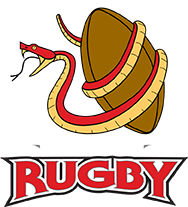 During the month of October, RRFC takes on a whole new meaning to the Raleigh Rugby Club. 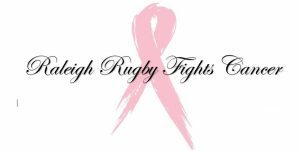 We come together and honor those who have and still are fighting the battle with Breast Cancer.Over the past three years Raleigh Rugby has tried to promote Breast Cancer Awareness during the month of October. This cause is very near and dear to our hearts, as our Venom head coach, Mike Streicker, lost his wife, Jennifer, to her battle with breast cancer in 2016. This year Raleigh Rugby Club is doing something really inspiring for their Ruck Cancer pink match. Similar to a Luminaria at Relay For Life, we want to support and remember all those who have fought and are still fighting breast cancer. For a donation of $5, you can put the name of a loved one on a pink ribbon tributes that will be displayed at our pitch on October 20th, 2018 during our Hall of Fame weekend as a culmination of Breast Cancer Awareness Month. Those ribbons can be purchased by Clicking Here. As in previous years, we are also offering our custom Raleigh Rugby 2018 Breast Cancer Awareness shirt. We have a couple options available for individuals and teams. For more information on ordering shirts and/or ribbons, go the our Breast Cancer Awareness page Here.